Metabolism is the process through which the nutrients from the food are transformed into energy which fuels the body so it can perform its functions. Not all of the produced energy is used; extra resources are stored in the tissues, fat, liver and muscles. An anomaly in chemical reactions generally leads to metabolic disorders where some substances exceed their normal boundaries, while others are insufficient. Getting diabetes can be a result of genetic predisposition or of unhealthy lifestyle comprising stress, diet, weight, smoking, lack of exercise and other factors. 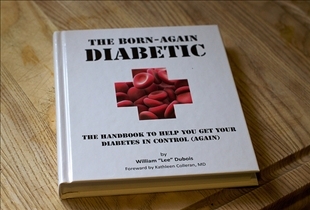 Diabetes and pre-diabetes are two of the most common metabolic disorders that modern society faces today. Diabetes is a metabolic disease caused by a high level of sugar in an individual’s body. More specifically, the body regulates the sugar content in the blood stream by producing insulin which is supposed to remove excess sugar from the blood. There are three types of diabetes: type 1 where the body produces insufficient amounts of insulin to keep the level of sugar normal so the hormone must be injected; type 2 where the body is insulin resistant as cells cannot use it and gestational diabetes which is specific during the pregnancy and may lead to type 2. Pre-diabetes is a state in which sugar level in the blood exceeds the normal limit, but is not high enough to meet the criteria for diabetes. Patients in this situation can develop type 2 diabetes in time as well as cardiovascular diseases. Symptoms of diabetes include frequent urination, increased thirst and increased hunger. Blurred vision is also a sign type 2. Patients with type 1 diabetes report nausea and abdominal pain, while those with type 2 claim to feel dehydrated. Skin rashes known by the medical term of diabetic dermadromes can also be symptoms of the disease. Symptoms for pre-diabetes are the same as for type 2 diabetes. Weight loss or weight gain, increased sensation of hunger, blurred vision, slow healing and recurring infections can help to identify the disease. Type 2 diabetes is caused by a genetic predisposition to the disease and by living an unhealthy lifestyle. If a person in the family has faced these issues, it is possible that their children will get it too. Unbalanced meals, stress and other malicious factors can also be the cause for diabetes.Type 1 diabetes also depends upon environmental changes as was shown in scientific studies. Pre-diabetes is caused by sleeping issues, genetic predisposition, high blood pressure and excessive weight. Cardiovascular diseases can also trigger the pre-diabetes state. Low levels of HDL cholesterol have the same effect. Diabetes is a metabolic disorder due to high levels of sugar in the blood. Pre-diabetes is a state where sugar level is high in the blood, but lower than is the case with diabetes. Increased hunger, blurred vision and weight loss are common symptoms for diabetes and pre-diabetes. Diabetes and pre-diabetes are linked to genetic predisposition. Which diagnosis includes a larger group of people? 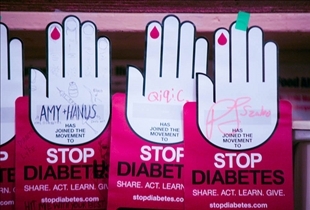 Sometimes there are no diabetes symptoms, or they go unnoticed or they're ignored. That is why people who have high risk factors, like the ones you mentioned, should be tested for diabetes.